What information do you need to manage my property? 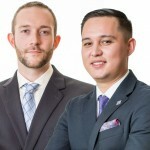 Nesbitt Realty & Property Management > Property Management Services for Landlords in Northern Virginia > Getting Started With Property Management > What information do you need to manage my property? Welcome to our property management family! A copy of the Insurance policy must be forwarded to Nesbitt Realty for retention in file. Please provide providers for gas, electricity, water, sewer, telephone, trash, and fuel oil. If any or all of these utilities are provided by your association, please note that here as well. Any helpful notes, such as the trash day, are appreciated. Please provide make, model, preferred HVAC company, warranty information, etc. Provide all instructions/care booklets available. Please provide any information you think a property manager should know about any warranties or service contracts you currently have. Any information you think a property manager should know. Need to sell a property in Northern Virginia? In addition to managing property, Nesbitt Realty is a full-service real estate brokerage. If your depreciation has run its course and we can help you make that 1031 tax-exchange.